The Alabama men's basketball team had a very good week in league play this past week, going 2-0, including its fifth win this season over a ranked team. Our guys will hope to make it three straight wins when it travels to Lexington to play the Kentucky Wildcats on Saturday. Alabama is seeking its first win at Rupp Arena since January 14, 2006 when it knocked off the Cats by a score of 68-64. Game time is 1 P.M. CT. CBS will televise the game. Alabama enters the game with an 8-5 conference record, while the Wildcats enter with an unusually modest 6-7 conference record. The Cats also enter this game with a four-game losing streak. Hit the links for team and KenPom stats. My Two Cents: It's a big stage for our guys on CBS. And, frankly speaking, I believe our guys are the better team entering this game. This Kentucky team - the youngest team in the country per KenPom - has struggled to put together consistent efforts all season. Some of that is due to the youth, some of it is because this Kentucky team lacks the elite type of players we're accustomed to seeing wear that jersey. Not that the team lacks talent - it was a top 2 class in 2017 - but it's been a group of guys that are in need of more development than many of the NBA-ready guys that Calipari has recruited during his time in Lexington. That said, getting out of Rupp Arena with a win is much easier said than done. Our guys will need to continue their high level of play if they have any chance of coming home with that win. Players to Watch: Don't look now, but Braxton Key is putting together consistently good games. 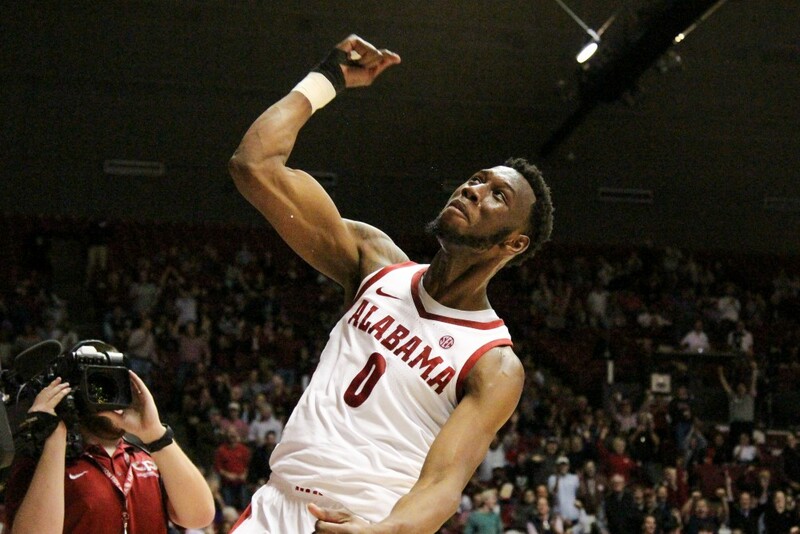 In Bama's last four games, Braxton is averaging 11.0 ppg, 5.5 rpg and 1.2 apg. He looks much more comfortable on the floor, seemingly finding his place on this team. Physically, he looks much stronger and confident on the floor. He had several drives in the LSU game in which he looked as explosive as we've seen him all season. I don't think it's a coincidence that Bama is 3-1 in these last four games. As someone who loves Braxton's versatile game, it's nice to see him back in rhythm. There's any number of guys on this Kentucky roster that are capable of stepping up and having a huge day on Saturday, but I think Kevin Knox is the most dangerous player on this team. He's probably the most pro-ready player from a physical standpoint, but he has had no shortage of ups and downs this season. In the loss to Auburn earlier this week, Calipari actually had to sit Knox late in the game because his defensive effort and overall body language was so poor. He's a freshman, struggles are going to happen, but when he's on this Kentucky team rises to another level. Just ask West Virginia fans, players and coaches who watched Knox torch them for 34 points in the Cats biggest win of the season so far.